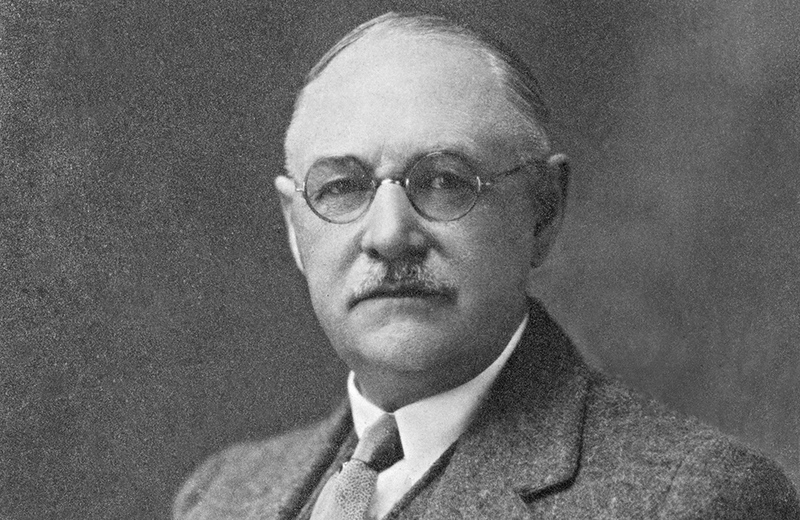 Legendary course architect Donald Ross was brought to St. Charles to rebuild the original eighteen holes, currently the Ross Nine and the Woods Nine. Derrik turned professional in 2012 and has been awarded the 2014 PGA of Manitoba Apprentice of the Year, as well as the 2016 PGA of Manitoba Player of the Year honours. Having a passion for both golf and fitness, he has his level 1 TPI certification. Derrik is a passionate learner and has continued to educate himself by attending coaching clinics and seminars, including Vision 54 with Pia Nilsson and Lynn Marriott, and the World Golf Fitness Summit. He is also certified in the 5 Simple Keys, Golf Psychology Coaching and a certified fitter with Ping, Titleist, Callaway, and Taylormade. Continuing to learn, he has recently become a member of the Proponent Group and has spent time learning from golf instructors such as Mark Evershed, Liam Mucklow, Andrew Rice and Chuck Cook. His goal as a golf coach is to have his students recognize the importance of proper fundamentals while maintaining a level of fitness that will allow them to play golf at their highest potential for an extended period of time. Derrik enjoys working with golfers of all skill levels and has a true passion for helping everyone truly enjoy the game of golf. With a true passion for learning, Jeremy is at St. Charles to absorb all the knowledge he can, as well as further his education through the PGA of Canada. Having spent two summers as a Junior Program Instructor, he enjoys helping the youth of the game in hopes to help them learn skills both on and off the course. Predominantly, he likes to work with individuals on the basics of the golf swing, creating upbeat and friendly golf lessons. Working with BodiTrak, Swing Guru and Flightscope technology during college, Jeremy thoroughly enjoys making new relationships with co-workers and members alike. Chelsey Sykes joined St. Charles as merchandise coordinator in 2016, after working previously as a sales representative in the giftware industry. Chelsey works through the year to provide a wide range of golf and casual apparel for our members and their guests to choose from. From researching products to present the best brands in the industry to the creative displays in our pro shop, Chelsey wants our members and guests to have access to the top brands in the industry and have the best experience possible when shopping at the pro shop. Please contact Chelsey for all of your golf merchandise needs. Do you have to be a member to have your event at the club? St. Charles accepts wedding and banquet bookings from both non-members and members. Is there a room rental fee? There is not a room rental charge. For Friday and Saturday bookings during peak season (April-September) there is a $750 facility fee for non-member functions. How many hours do I get use of the facility? make the event successful—different types of events require different time requirements. Please call for additional details. Can I just rent the room and bring in my own caterer? No. The club has an industry-leading Executive Chef and supporting staff who will ensure that your guests will enjoy a tasteful and memorable meal. Does St. Charles Country Club offer meal tastings to sample the entrees offered? Yes. St. Charles Country offers meal tastings after your event has been booked. The cost of the tastings will be added onto your final wedding bill. Am I able to have the photographer take all of the wedding pictures at St. Charles Country Club? Yes. St. Charles Country Club has a clubhouse and grounds that are the perfect setting for your memorable wedding photos. The options to document your wedding in a spectacular way is limitless. Is there a minimum that one must spend on food and beverage? On Saturdays during the golf season there is a $10,000 minimum spend on food and beverage. With the exception of Saturdays during the golf season, there is no food and beverage minimum. And more importantly, club staff can usually customize a menu to stay within a reasonable budget. Are there any hidden fees for additional services that I should know about? The advantage of holding your event at the club is that there are no hidden fees or mandatory charges. • Valet Parking is available for an additional charge. What are the Pricing and Guarantees? Due to market fluctuations, prices will be confirmed three (3) months prior to event. All charges are subject to 8% PST and 5% GST. All food and beverage is subject to a pre-tax 15% supplementary fee. The supplementary fee is not distributed to club staff; rather the club uses this fee at its sole discretion to offset employee wages, overhead, supplies and other amenities required to provide function catering services. If I am a non-member and paid my deposit, can I get bumped from my date by a member who wants the same date? If you have paid your deposit and meet all payment guidelines, then there is no possibility that you will get bumped from your date. Does St. Charles Country Club accept credit cards for payment? Unfortunately, St. Charles Country Club does not accept credit card payments. Is there a required pre-payment plan and when is the final payment due? Yes, there is a manageable pre-payment plan with final payment due 30 days before the date of the event. Please call for additional details. Does St. Charles Country Club have a baker? The club does not have a bakery on site. However, the club can recommend the best vendors in the area. Do you have pictures or room layouts to view various room set ups? Yes, please click on the following link to view. I have never eaten at the St. Charles Country Club, what’s the food like? St. Charles Country Club was established in 1904 and over the years is proud to be considered among Canada’s premier private clubs – the dedicated staff, boards and committees continue to enhance this objective. St. Charles boasts one of the city’s finest culinary operations. The time and care associated with the procurement, handling and preparation of each ingredient that creates your personalized menu is astonishing. The club’s menu items are steeped in centuries of culinary heritage and are balanced with progressive gastronomic influences and presentations. What is the Capacity of the Verandah / Inner lounge and where would the pre-dinner reception be held? The Verandah/Inner Lounge can accommodate up to 250 people for served dinner, and up to 350 for a cocktail-style reception. The pre-dinner reception is hosted in the club’s lush garden during summer (weather permitting) or on the dance floor area featuring two massive fireplaces. Is there a minimum number of guests? No. There is no minimum guest requirement. Do you offer on-site ceremonies? On-site ceremonies can be hosted in the clubhouse or in the garden (weather permitting). The clubhouse can accommodate up to 130 seated guests, the garden can accommodate up 250 guests. What type of table linen is available? The club offers white signature table linens and 15 different color napkins at no additional charge. We are happy to source and provide alternative table linens and chair covers upon request. How many other events will be taking place at the Club during my wedding? Only one wedding is booked on any given day and reserved for your event. What is a typical room setup? The club uses 60-inch (8 person) and/or 72-inch (10 person) round tables. Depending upon your final number of guests and preferred seating arrangement, the Club’s experienced Food & Beverage Manager will make a recommendation regarding the optimal room setup. A traditional head table can be set comfortably for up to 20 people. Where is the dance floor located? The large dance floor is located adjacent to the veranda and inner lounge area. The dance floor is large enough to allow your band or disc jockey to setup in one corner for your wedding. How does beverage (bar) service work? The club can accommodate either host bar service, cash bar service, or a combination thereof. In case of host beverage service, you are billed for what your guests consume throughout the evening. The club’s liquor license does not allow commercial wine that is not purchased by St. Charles Country Club to be consumed on its premises. Non-commercial (home or on-premises brewed) wine also cannot be consumed within the club due to the provisions of our liquor license. Our Food and Beverage Manager is pleased to provide wine recommendations that will perfectly match your menu, or source specially requested products for your event. Can my guests choose from a selection of entrée items? The club encourages you to offer your guests a selection of entrée items so that they can better enjoy the full St. Charles Country Club experience. For wedding events, it is requested that your guest’s entrée selections be confirmed in advance of the event. Where can I have pictures taken? Pictures can be taken anywhere in the veranda, grand staircase, fire place, also some outdoor pictures can be taken on selected areas of the golf course or garden on the day of your wedding. Where can my guests park? Ample parking is available for your guests in the clubs parking area. Do you have a list of preferred vendors? We have very high standards and expect nothing short of the same from our suppliers and vendors. Therefore, we have created a database of preferred vendors that have earned our trust over the years. Our database includes a selection of decorators, photographers, limousine companies, florists, cake creators, linen providers, bands, and disc jockeys. We are pleased to share our list of preferred vendors with any bride and groom that reserves St. Charles Country Club for their wedding. Do you provide overnight accommodation? The club does not provide any overnight accommodation. However, we do receive preferred room rates from our neighbours at the Holiday Inn Hotel (west portage). Your guests may require taking advantage of the club’s special rates. Is there a Manager on-site during my reception? St. Charles Country Club’s Food and Beverage Manager or Assistant Food and Beverage Manager and/or Banquet supervisor will be present throughout your event to ensure that it is executed professionally to the standard of the St. Charles Country Club. For more information on hosting weddings at the Club please contact Tyler Scammell to arrange for a tour of our clubhouse or to learn why St. Charles Country Club is your best choice of wedding venue. Craig believes that to be a great golf instructor you must have extensive knowledge of the golf swing and be able to communicate it in a way that every student will learn from it. In his search for understanding swing mechanics he has attended many education seminars through the PGA of Manitoba with speakers ranging from Andrew Rice, Paul Dewland, Mark Evershed, Chuck Cook, Pia Nilsson, and Lynn Marriott. He has also completed four levels of the PGA of Canada Teaching and Coaching Certificate Program. In his efforts to become a more rounded instructor he attended a three-day Extraordinary Coaching program hosted by Fred Shoemaker. Craig has also achieved the status of a Golf Machine Certified Instructor, as well as a TPI Level 1 Certified Golf Professional. Most recently, he spent four days with Liam Mucklow training to become a Golf Lab Certified Instructor. Craig is passionate about growing the game of golf through instruction. He has become known for his patient manner and his ability to adapt his teaching style to enhance each individual’s learning experience. St. Charles’ Head Professional, Cory has a passion for golf instruction and coaching. He has coached a wide range of golfers from those who are new to the game to players who have competed at a national level, including three provincial champions, as well as on professional tours and in NCAA competition. Cory believes that as an instructor he has to gain and gather as much knowledge as possible by continually educating himself in order to find the most efficient means of communicating a simple and understandable path towards a player’s improvement. An accomplished player himself, Cory has won several professional tournaments, including a 4th-place finish on the PGA of Manitoba Order of Merit highlighted by three wins. He also holds the competitive course record at Tor Hill golf course with an 8-under 63. Continually striving to learn more about coaching and swing techniques, Cory is a Titleist Performance Institute Level 3 Golf Professional and Junior Level 2 Coach. He is a certified Golf Machine Instructor, AimPoint Express instructor, and has studied and is certified under the 5 Simple Keys (5SK) as a director of instruction. Cory has also studied and worked personally with Pia Nilsson and Lyn Marriott (Vision 54), Fred Shoemaker of Extraordinary Golf, Paul Dewland, Andrew Rice, Mark Evershed, and David Wedzik among many others. Cory is also a member of the Proponent Group, which facilitates seminars and continuing education programs for the Top Instructors in North America.